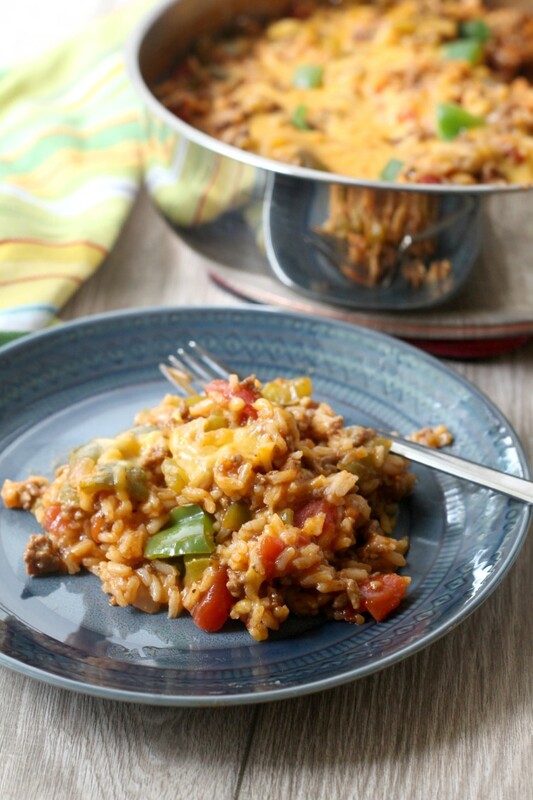 One Pot Stuffed Pepper Casserole is a quick weeknight meal the whole family will love. 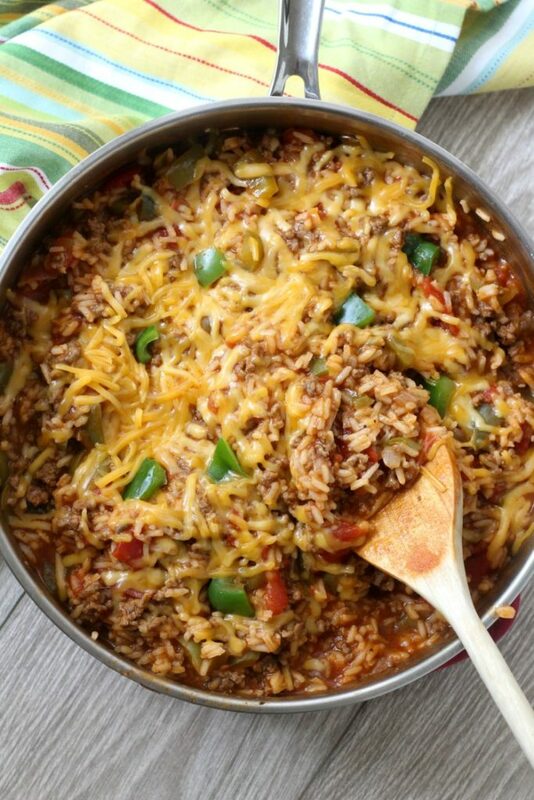 Beef, Rice and Peppers in a flavorful tomato sauce topped with cheese all made in one pot. 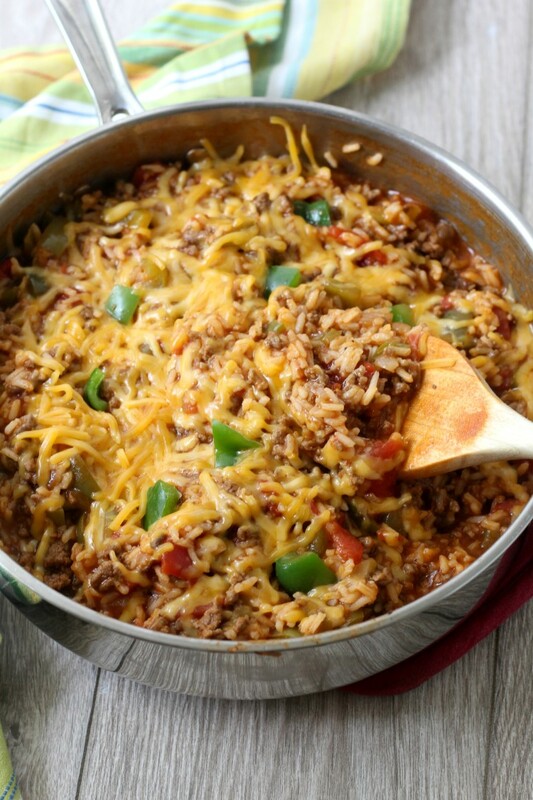 Will your kids eat peppers diced up in casserole? Cameron is starting to get picky about things like that, which makes me a bit sad since he has always been such a good eater. Thankfully he likes the rice and beef enough not to complain too much. Ashtyn is my strange eater. She refused pancakes or peanut butter toast for breakfast, but devoured this pepper casserole for breakfast the next morning. She loves meat and vegetables and really doesn’t care for fruit or bread. Unless it’s dessert. She is definitely my child there, but I don’t understand the no fruit and carbs things. I love both of those so much. She is also a late at getting her teeth. Her second bottom tooth just came through and she is almost a year old. So obviously she isn’t great at chewing. She doesn’t see that as a problem though. She gums her meat and vegetables down a bit and swallows them mostly whole. Glad she is finally eating. I was worried for a while when she wouldn’t have anything to do with baby food. Turns out she just wanted what we were eating. So I said all that to tell you that, yes, everyone in our family loves this stuffed pepper casserole, even the parents who aren’t grown up enough to enjoy traditional stuffed peppers. But cut the pepper up in little bites and it’s delicious with a lot of flavor. 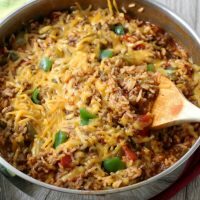 It’s also a recipe that I usually have most of the ingredients on hand so it’s an easy one to add to our weekly meal plan. 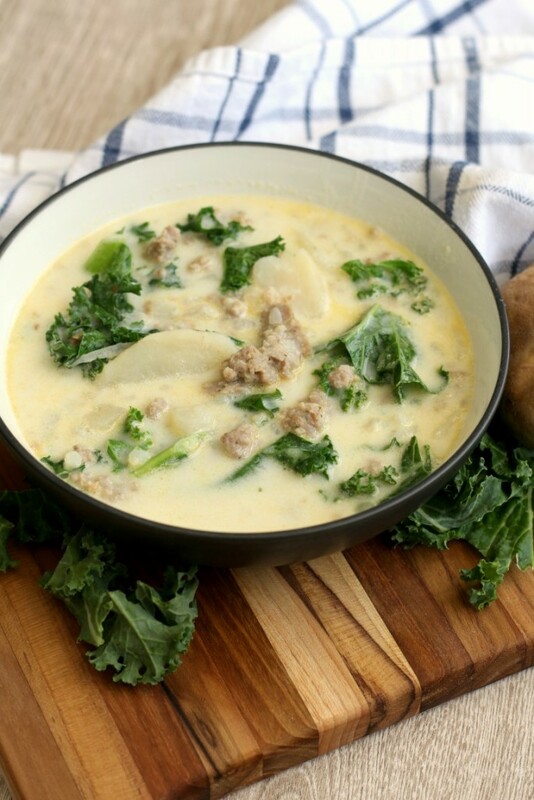 If you want to save the recipe below for later to use on your weekly menu, be sure to use the “Pin it” button to save the image below to Pinterest. Do you follow me on Pinterest? Come join the fun. 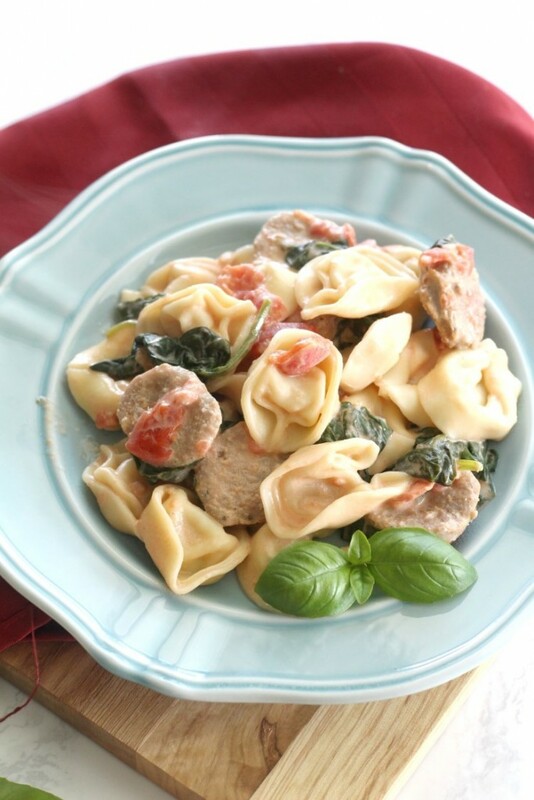 I pin all sorts of dinner and dessert recipes that look amazing! 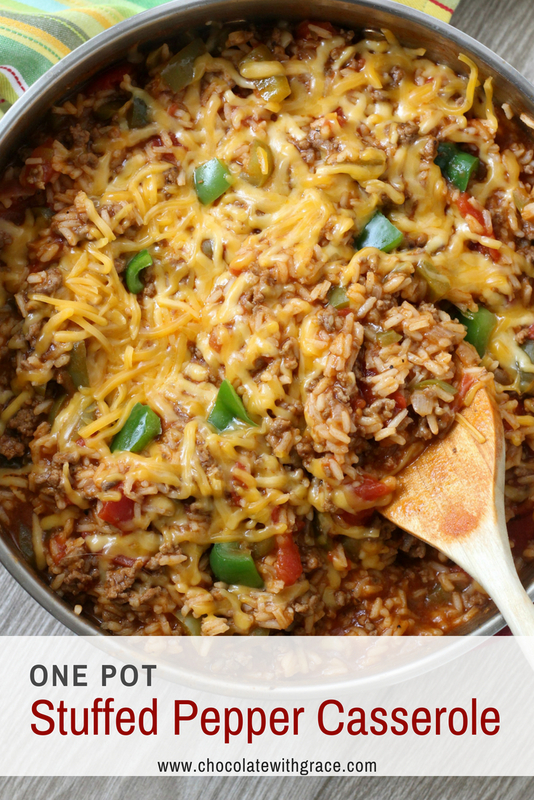 In a large pot or deep, straight sided skillet with a tight fitting lid, brown the beef and onion over medium heat. Drain almost all the grease and add bell peppers, salt, pepper, and oregano. Cook just until the peppers start to soften. Add garlic and saute just until brown, about 30 seconds. Add tomatoes, broth, tomato sauce, and soy sauce. Bring to a boil over medium heat. Add the rice and bring to a boil. Turn heat to low, cover and simmer for 25 minutes or until rice is cooked through and the liquid is absorbed. If there is still a bit more liquid than you'd like. Remove the lid and simmer for several more minutes. Sprinkle with cheese and cover just until the cheese is melted. If you’re looking for other one pot dinner ideas for busy nights, try some of these. 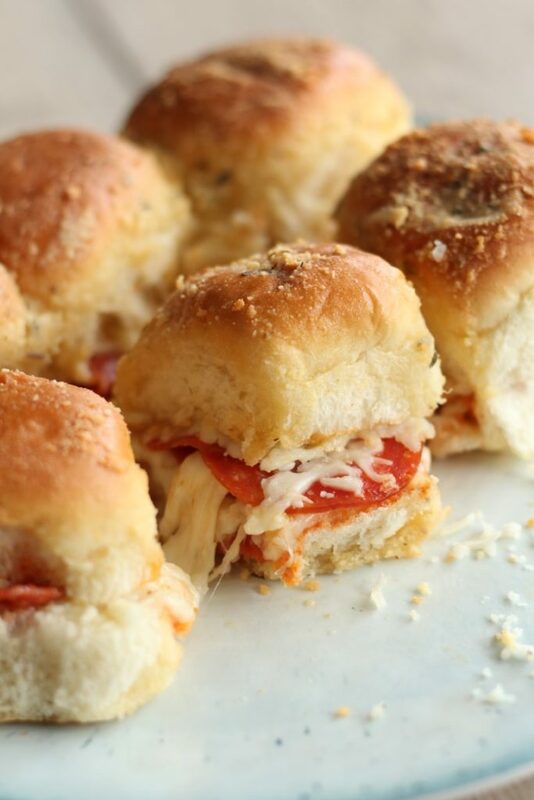 Quick and Easy Pizza Sliders made with Hawaiian Rolls, Marinara, Pepperoni and Mozzarella Cheese with a buttered Garlic Parmesan Crust. 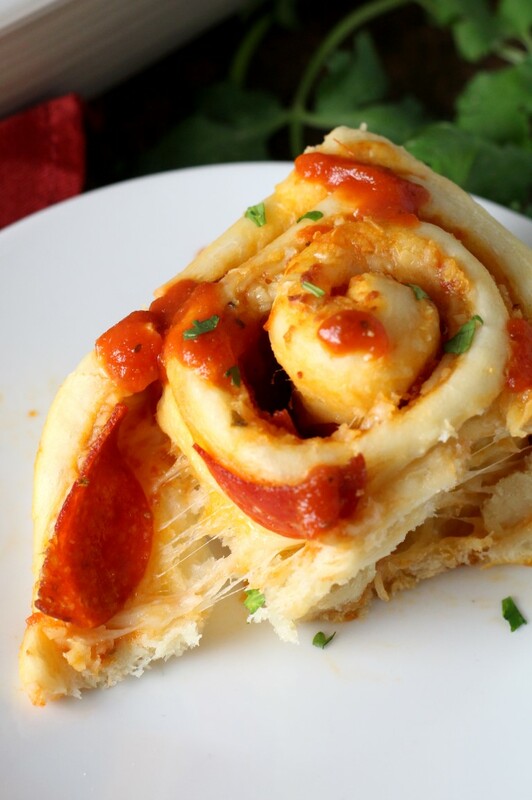 Garlic Bread dough is filled with generous amount of tomato sauce, cheese and pepperoni which make these Pepperoni Pizza Rolls a fun way to enjoy pizza flavors. Recently, I connected with Annalise who blogs at Sweet Anna’s. She sent me a copy of her new cookbook, The Make-Ahead Kitchen which has 75 different recipes that can be made ahead. Working full time doesn’t leave me much time each evening to prepare supper, so I’m always on the look out for meals that can be made ahead of time. I usually get home around 6pm and don’t usually feel like cooking and even if I do try, we often don’t end up eating till 7:30. Any prep that can be done ahead is super helpful. 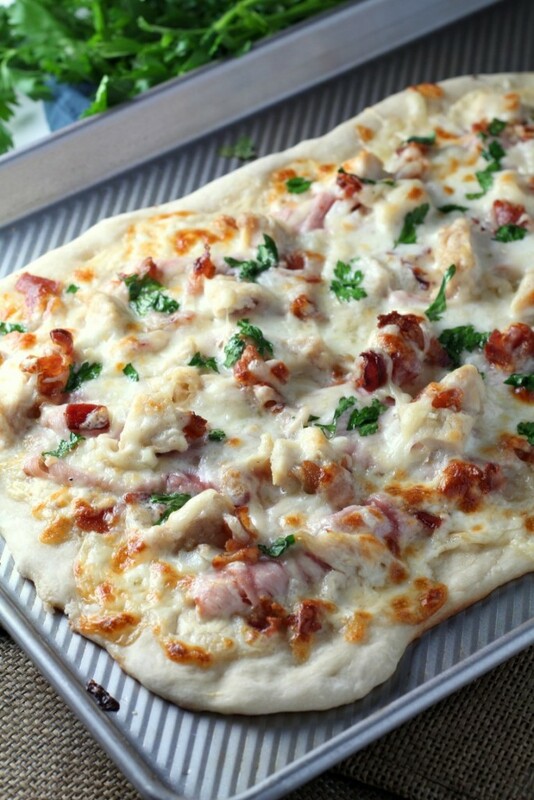 A simple pizza topped with grilled chicken, ham, bacon, swiss and mozzarella cheese. A few weeks ago my sister, Dana, came to spend a few days with me. We enjoyed a lot of sisterly conversation, shopping, cooking and eating. This Chicken Cordon Bleu Pizza was one of our creations. Chicken, ham, bacon and Swiss Cheese are layered on a basic pizza crust spread with Alfredo sauce…. 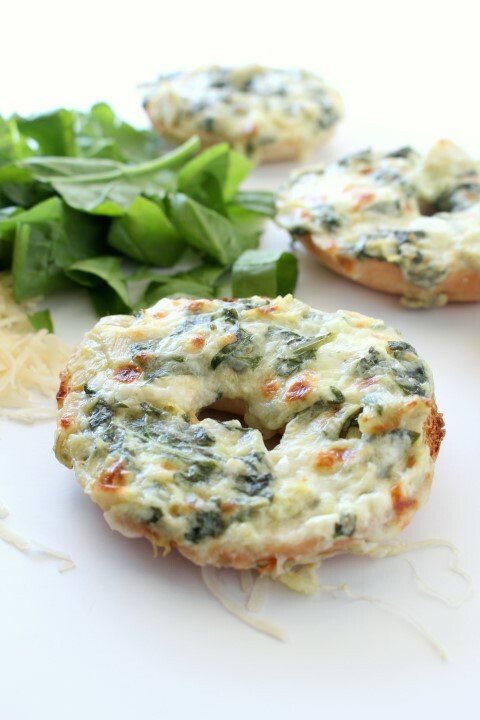 Spinach and Artichoke Dip baked on top of mini bagels. The classic dip gets a makeover in these cute little appetizers.